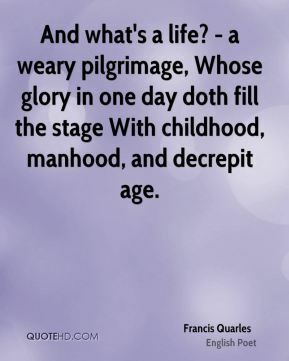 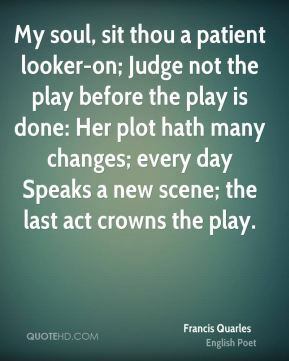 My soul, sit thou a patient looker-on; Judge not the play before the play is done: Her plot hath many changes; every day Speaks a new scene; the last act crowns the play. 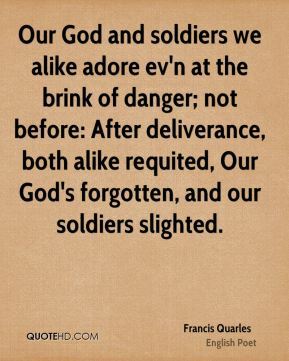 Our God and soldiers we alike adore ev'n at the brink of danger; not before: After deliverance, both alike requited, Our God's forgotten, and our soldiers slighted. 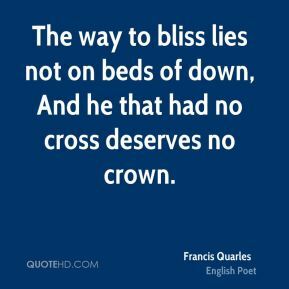 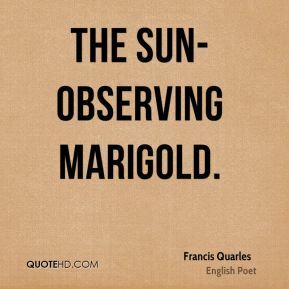 The way to bliss lies not on beds of down, And he that had no cross deserves no crown. 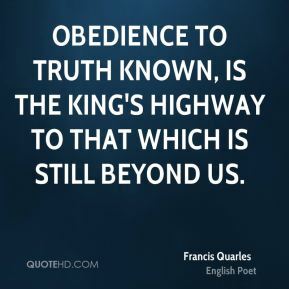 Obedience to truth known, is the king's highway to that which is still beyond us. 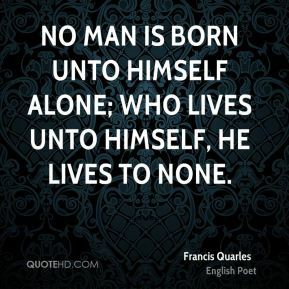 No man is born unto himself alone; Who lives unto himself, he lives to none. 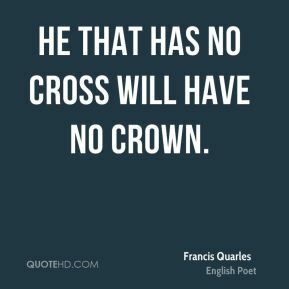 He that has no cross will have no crown. 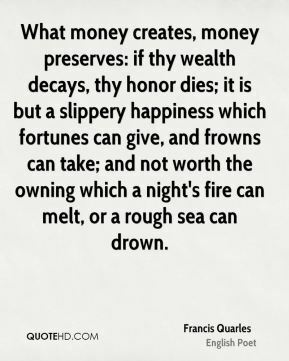 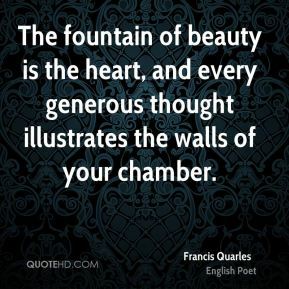 What money creates, money preserves: if thy wealth decays, thy honor dies; it is but a slippery happiness which fortunes can give, and frowns can take; and not worth the owning which a night's fire can melt, or a rough sea can drown. 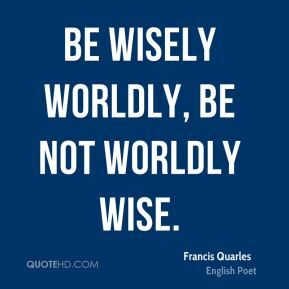 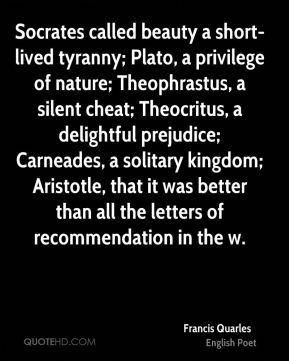 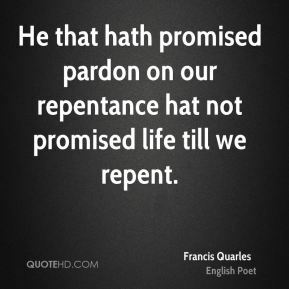 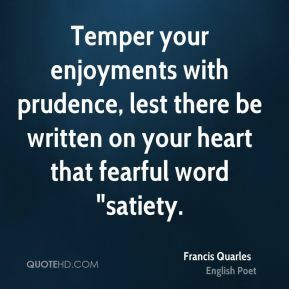 Temper your enjoyments with prudence, lest there be written on your heart that fearful word "satiety.